I love this! That blazer is amazing! Loving all of your holiday sparkle! Happy holidays Bethany! I almost never wear all neutrals, but I just love it! Always such a clean, classic look. I need to try it more often. 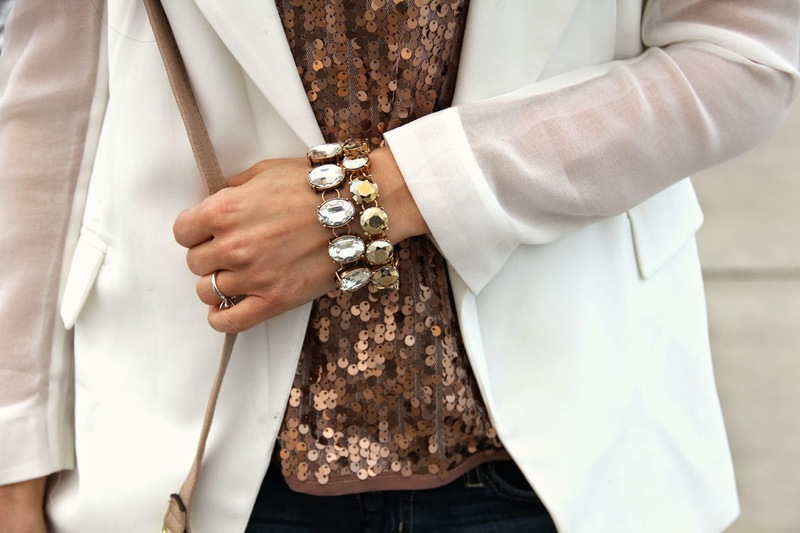 I love the way you styled this sparkly shirt under a crisp blazer. Beautiful! This look is so stunning! You look gorg! You look so amazing! Absolutely in love with the gold and white! Cute jacket and it works perfectly with the gold glitter top, especially for this time of the year, you look great!